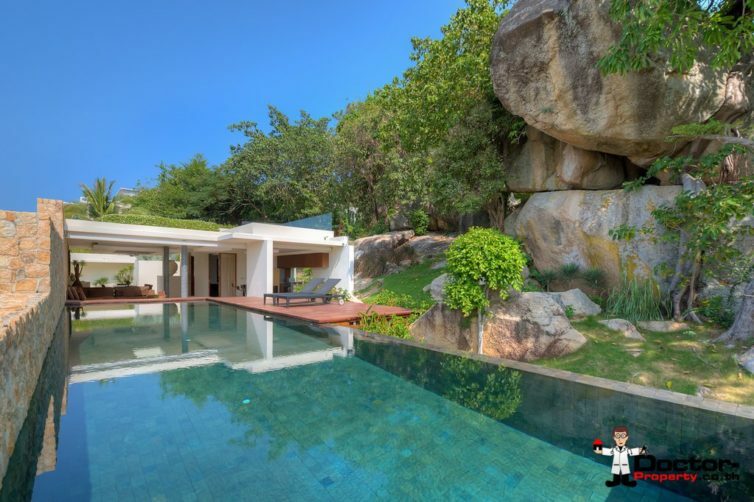 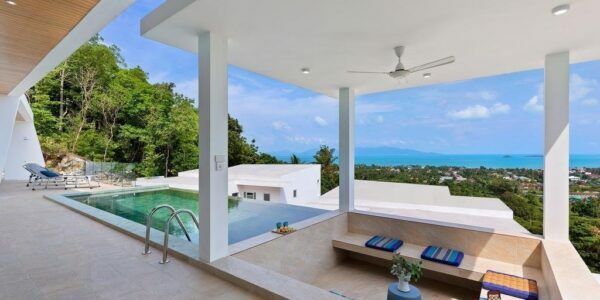 Choeng Mon, the nor­th-eastern horn of Koh Samui is home to a number of eli­te luxu­ry villas and upma­r­ket reso­r­ts and deve­lo­pmen­ts. 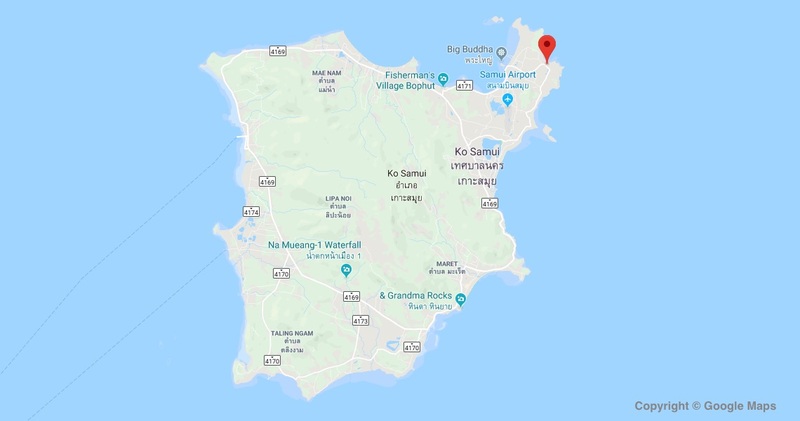 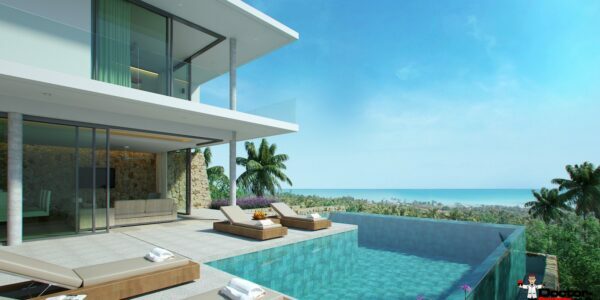 Samui Inter­na­tio­nal Air­po­rt and Down­to­wn Cha­weng are only 10 minu­tes away, and Samui Inter­na­tio­nal Hospi­tal is a mere 5 minu­tes drive sou­th on the main road. 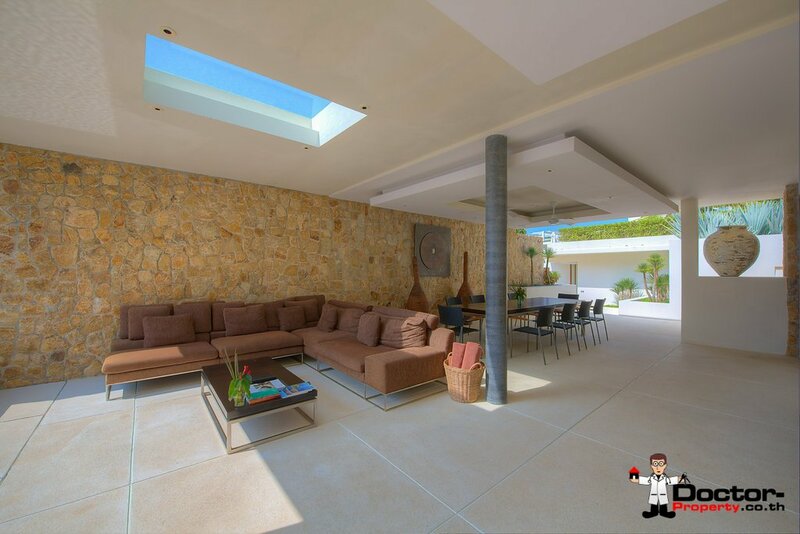 This villa is a duplex villa with three en-sui­te bed­roo­ms and is avai­la­ble sale and rent. 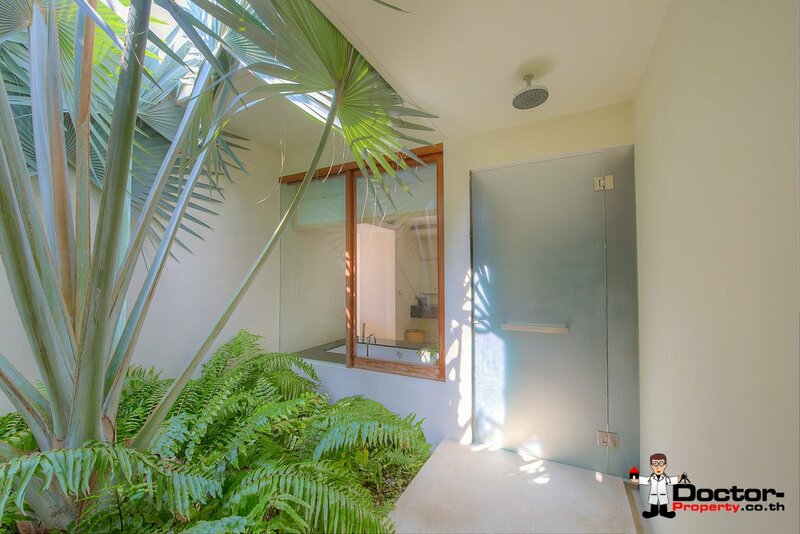 A stri­king ent­ran­ce and lan­dsca­ped gar­dens lead to a siza­ble outdoor area. 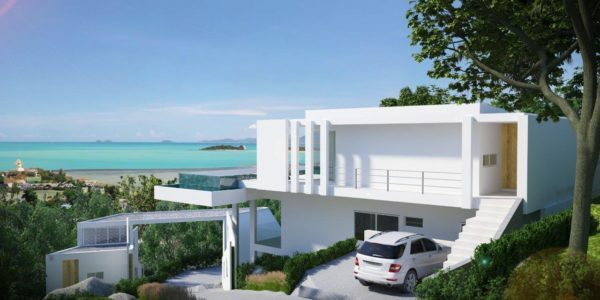 This villa inclu­des a televi­sion loun­ge, open-air living and dining room over­loo­king the infi­ni­ty pool and fea­tu­res a brea­kfa­st bar and chic kitchen. 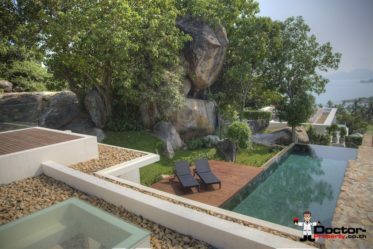 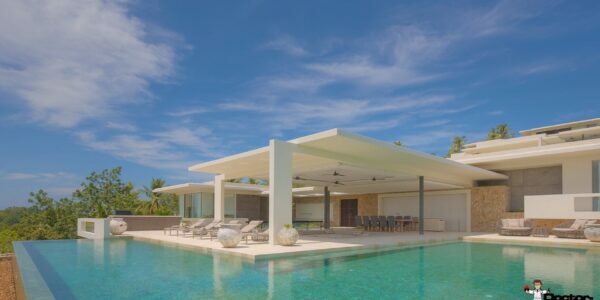 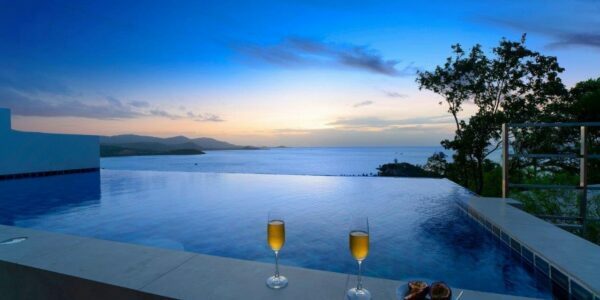 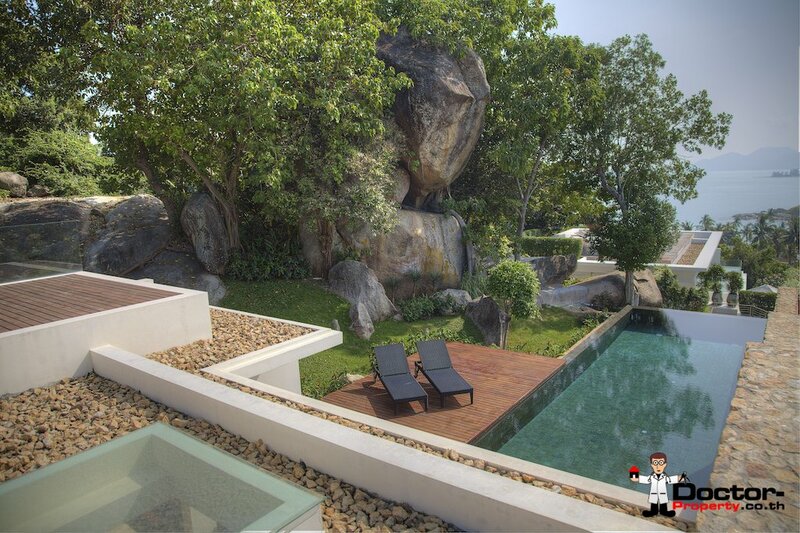 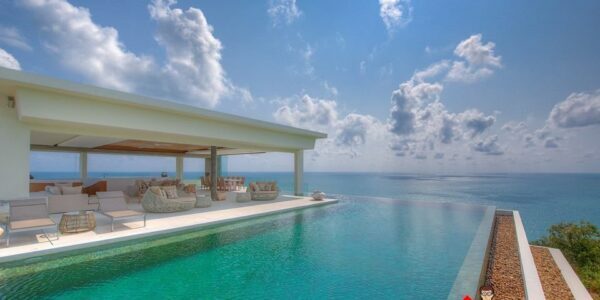 This villa has stun­ning sea vie­ws and a seclu­ded gar­den fea­tu­ring lar­ge natu­ral rock for­ma­tions. 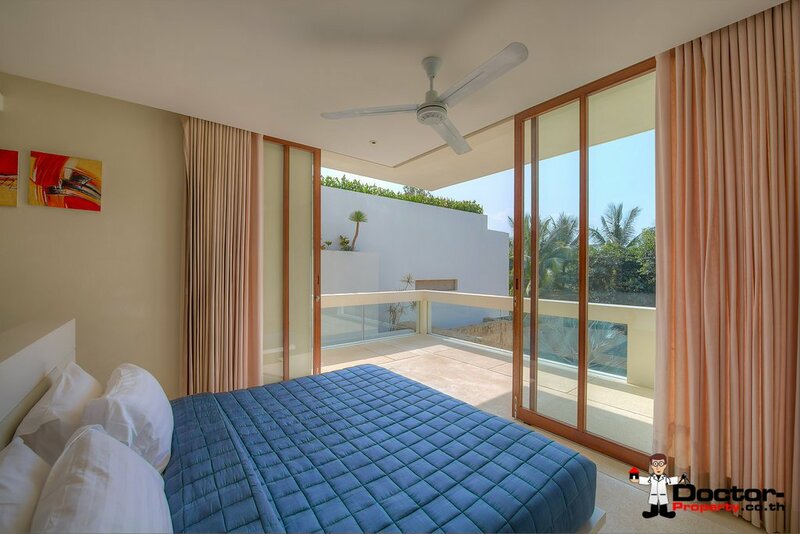 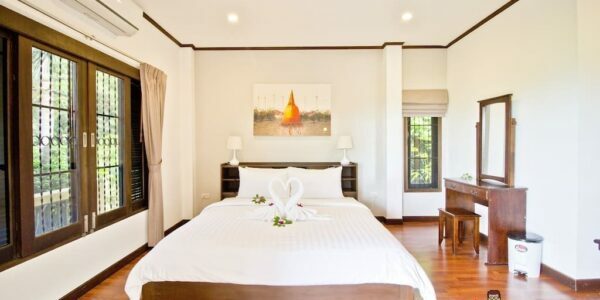 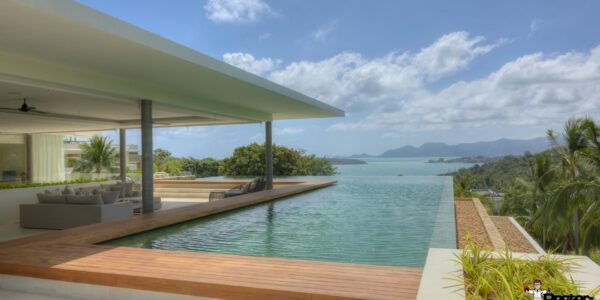 The priva­te roof deck is great for sun­se­ts and yoga pra­cti­ce during an unfo­r­ge­tta­ble stay in Thai­land. 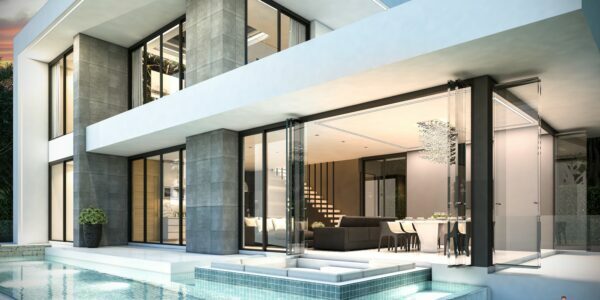 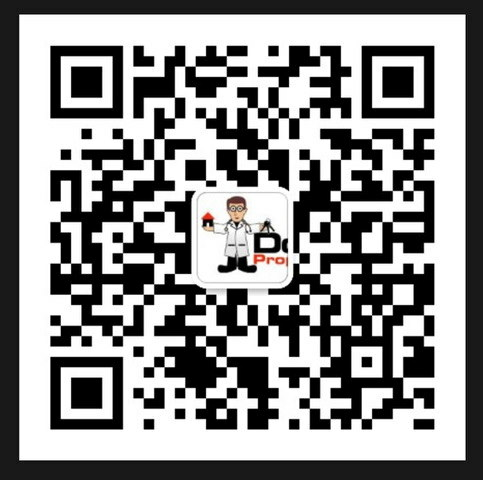 Con­ta­ct us for more info­r­ma­tion, we are alwa­ys rea­dy!